Struggles for Social Justice in India Today : How Relevant is the World Social Forum ? A preface, written on the day before our meeting : We in India are today living in deeply troubled times. There are fires raging across the country. This note, which urges us all to take a step back and reflect, is dedicated to all those in struggles for justice in India and across the world, and in honour of those who, as they stand up for justice and against injustice, have been and are being maimed, terrorised, arrested, jailed, tortured, and killed. The past decade or so has seen a great intensification of struggles for social justice in India. This intensification is usually portrayed (and sometimes also by social and political movements themselves) as a reaction – as a reaction to the intensification of processes such as unemployment and the casualisation of work that are outcomes of the neoliberalism, the lack of access to markets, and the massive physical displacement that is taking place in the country as a function earlier of major ‘development’ projects and activities and now of rapid industrialisation and, in particular, mineral exploitation; as a reaction, by particular communities or sections, to being consistently ignored, marginalised, and all too often, exploited, by society at large and in particular by the state; as a reaction to the intertwining of these processes and the multiple precarities and insecurities that this intertwining engenders; and as a reaction to the rise and spread of communalism and fundamentalisms and the growth of communal and fascist forces – that are in part also feeding on and intertwining with the above. Movements see what they do as democratic expression of their visions of a different world, but it tends to be portrayed only as reaction. In addition, communities and social movements fighting for justice all over the country are increasingly finding that they also have to confront various forms of social and physical repression – and so, are forced into a reactive position and mode. The reality of repression itself is not new but was earlier more localised, confined to certain regions of the country and to areas where bigger projects were being implemented. This has changed; it is now widespread, ruthless, and the general condition. As one of the fruits of the power, greed, and arrogance that neoliberalism has brought about, but feeding also off the neo-feudal political culture that had been in place in our society from long before, we are today witnessing a devastating intertwining taking place in the country of party, state, and industrial interests – and in states ruled both by the right and the left. Among other things, this is manifested in a growing narrow-mindedness and arrogance on the part of parties, state, and industrial interests, and expressing itself in a growing insecurity of the powerful, a greater intolerance, and greater social and physical repression by them of all those resisting their mindless and ruthless implementation of their neoliberal programme and/or of their communal programme. And a new development, paralleling what happened in, say, Latin America in the 80s and 90s, is that this repression has now extended also to those acting in solidarity with those in struggle, as has recently been witnessed in the arrests and indefinite incarceration of Dr Binayak Sen and Ajay T G in Chhattisgarh – and, under the argument of a state of exception, of the arming of vigilante squads such as the Selwa Judum and the promulgation of sinister new laws to give new meanings to ‘legality’ – and thereby new, ambiguous and therefore dangerous powers to the state. There are today increasingly strident calls from within the Indian state to extend this state of exception across the country. But the reality is that social struggle in India has intensified not only in terms of reaction but also as a result of rising assertion and rising contention. We are today witnessing a rising voice, and a much stronger articulation of demands and actions by social and political movements across the country; and also because of a gradual coalescence (more correctly, of several gradual coalescences, in different parts of the country) that is taking place – towards greater collaboration and convergence of different movements and campaigns for social justice, as a part of this rising assertion. This intensification – which is learning from and building on processes that started back in the 70s and 80s – is manifested in many different ways : In terms of greater militancy; in terms of the number of locations of resistance across the country and of the kinds of issues around which the resistance is taking place; in terms of the range of proposals that movements are coming forward with, towards achieving greater social justice – not only for themselves but also more generally, and structurally; and, as above, in terms of greater sharing and solidarity. A key question is – how should we see this process, in terms of not just the struggle for social justice but also the power to achieve it ? Is it meaningful to see this intensification as a renewed assertion of popular power – but crucially, now not only in terms of resistance to the onslaught that people are experiencing but also in the offering of alternatives ? And in particular, and as John Holloway has written so powerfully, in terms of the very meaning of democracy and of power ? Is his argument useful to us – that there is a profound difference between understanding power as power-over (classical power over others, which has been the traditional concern of political parties and movements) and what he suggests is a practice of power-to : The power to come into control over their own lives, including the power to say – and to scream – ‘No !’ ? 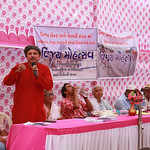 Though strong in certain places, such as the Narmada valley and Baliapal, these voices have in past decades been somewhat scattered, and in many cases the state and corporate interests were able to either suppress them or ignore them; but they are now rising in a crescendo across the country. Are they, perhaps, now beginning to sing the same song ? 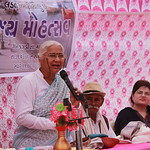 An especially powerful and significant manifestation of this in this decade has been – and continues to be – the rising and autonomous self-assertion by sections of Indian society that have been historically and structurally oppressed and suppressed – especially Dalits, Adivasis and indigenous peoples, OBCs, and women, and increasing now, forest dwellers, cutting across these more traditional categories – to the point where their actions are fundamentally changing the face of India. This is a phenomenon that is true across the country, from north to south and from west to east, and right across the centre; and which is echoed by similar changes taking place in the countries and societies surrounding India. The great social and political transformation that has recently unfolded (and will surely continue to unfold) in Nepal, which has for so long been regarded, perhaps especially by us in India, as the sleepy and ‘backward’ backwater of south Asia – is, in our times, perhaps the most profound of all, with lessons for all of us; perhaps especially including for all those in movement. In addition, the common understanding of the intensification that is taking place is also usually understood to be, in large part, primarily a function of neoliberalism – of the ‘liberalisation’ and subsequent ‘globalisation’ of the Indian economy since the introduction of so-called ‘structural adjustments’ in 1991; and where it is no coincidence that the architect of those ‘reforms’ is today the country’s prime minister, leading and overseeing this sharpening of social conflict. But it is crucial to note that these political and economic changes have also been accompanied by (and manifested in) profound other social, cultural, and political changes in the body of Indian society and political culture during this period, ranging from the political role and character of the judiciary, to the political character of the bureaucracy, to the enormous privileges afforded by the rulers of India Rising to wealthy non-resident Indians and peoples of Indian origin; and so on; accompanied very significant changes at the global level – not least being the so-called ‘war on terror’ and its outfalls across the world. Economic globalisation is not alone; all of these are feeding the intensification of social conflict in the country, in various ways and at many levels. 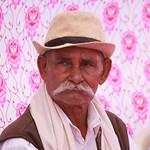 Even as this mega struggle continues and opens up – and for growing numbers of people in India, this is literally a life and death struggle -, there is much reason to think that for those in movement, it is time to take a step back and review and reflect – as individuals, and collectively – on where things stand today; and on what needs to be done. Some battles have been won, and some progress made; but there have also been tremendous setbacks, the unravelling and rolling back of whole structures and systems that were won over decades of previous struggle, and now, a blatant and aggressive opening of repression by agencies of the state, increasingly acting on behalf of capital – and in some parts of the country, also of religious and/or ethnic majorities. As a contribution to such a process of reflection, and in all modesty, we from CACIM have listed in an Appendix some questions that we think might be useful to ask at this time, as one part of this process. The formation of the WSF in India in January 2002 was followed by the organisation of the Asian Social Forum in Hyderabad in January 2003, which was seem by observers from across the world as having been very successful, and then of the world meeting of the World Social Forum, in Mumbai in January 2004 – which has been seen by those observers as having been a singular and tremendous success and has uniformly been described as having “changed the WSF”, as setting the benchmark of what a world meeting of the WSF should be, and as initiating major reforms within the Forum. One observer of the WSF has even coined the phrase “the Mumbai effect”, within the Forum. On the other hand, there are some who believe that the WSF is fundamentally flawed, and have opposed and critiqued it; some see it as little more than a talk shop; and others, perhaps many, and even if they once took part, have come to believe that the WSF has now outlived its purpose, and that it is time for it to now close its tents and to move on. Yet another proposal is the WSF, as part of a wider world movement of resistance to imperialism, needs a far clearer political programme. These views, however, are in sharp contrast to some other contexts where local actors and other observers feel that the institutionalisation of a Forum process is capable of contributing strongly to a democratisation of the polity. In the US for instance – in the heart of the demon -, ‘grassroots movements’ (rather than civil organisations from the federal capital) would appear to have taken the initiative to set up in the WSF process there, and have used the Forum as a space and vehicle for what some see as the resurgence of socio-political movement in the country. Equally, bringing the Forum to India in 2001-2 was seen by its Brazilian and other organisers as the first and most vital step within a broader strategy by the WSF to globalise itself. If indeed this was such an important step for the WSF as a global initiative, and if indeed the WSF was seen in this way by seasoned activists and observers both within India and internationally, then what are the implications for the WSF as a global idea and strategy if the WSF in India collapses – or indeed, has already collapsed ? And why has it proved to be such a dud here, if indeed it is remaining so vibrant elsewhere ? We also need to move beyond these broad characterisations. If indeed it was a success, what – more precisely – has been the nature of this success ? In terms of the contributions of the WSF to the struggle in India for social justice; in terms of its contributions to social and political process more widely (and where, as some within WSF India have tried to suggest, the holding of the WSF in Mumbai in January 2004 – and by implication the establishment of the WSF in India – contributed to the defeat of the BJP-led government in the 2004 general elections); and in terms of the contribution of the WSF in India to the WSF regionally and globally ? Not only as arguably successful events (such as in Hyderabad and Mumbai) but as social and political process – and including its contribution to the much wider movements for social justice that have been raging from much before its formation and that have only intensified in this period ? In the country, in the South Asian region, and in the world ? And how relevant is it today, to this much wider struggle, in India and elsewhere ? How, for instance, does the WSF relate to and locate the concerns of Dalits, which – since some streams have declared themselves to be pro-globalisation, in terms of the emancipation of Dalits – are arguably opposed to its formal, declared anti-neoliberal position ? And finally, can something like the World Social Forum – in its original incarnation, an open space for a sustained and free sharing of experience and for the forging of alliance – play any role in helping movements to reflect and exchange ? Not necessarily in the way that the WSF has been interpreted and practised in the country so far, but in new ways, led by those in movement ? Opening a worldwide debate on the WSF’s Global Day of Action, a very unusual initiative taken by it for its world meeting in January 2008, including publishing a Directory of actions being taken across the world. See Call for Global Day of Action and Directory prepared by CACIM, and read for a perspective and discussion of this unusual initiative. Forthcoming : Inviting others across the world to also critically look at the experience and substance of the WSF as domestic and international strategy, and organising a major event at the next world meeting of the WSF that is to take place in Belem, in Brazil, in January 2009, where all those who take part in this process will be invited to present their findings. At the moment, we would like to draw your primary attention to the first, third, and fourth items above – the CACIM Forum Fellowships programme, the Symposium we are organising in Delhi on August 29 2008, and the follow-up process to that, looking ahead to a second Symposium. While we are calling the first Symposium in Delhi, we hope that the discussions at this meeting will generate a debate that will spread across the country and where the subsequent discussions can and will take place in locations across India – and where we might organise the second Symposium, presently proposed for November 2008, elsewhere in the country. To repeat, we see this only as a first, opening meeting. 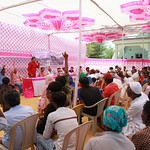 We extend an open invitation to other organisations, entities, and individuals across the country to take similar initiatives – and where we propose that we should, as far as possible, network by keeping each other in touch and informed and by posting information on each other’s initiatives and all other such initiatives. Please feel free to send this Note on to other such people; and if you would like to, keep us in touch with your doing so and/or suggest who we should approach. We are hopeful that an enquiry and reflection of this nature – which we propose be kept as open as possible, in a spirit of critical engagement with the questions and realities we are faced with and the conclusions that start emerging – will attract a wide range of doers and thinkers from both genders and all sections and parts of the country and of all ages, castes, classes, ethnicities, religions, and sexual orientations. For the first Symposium,which we are calling at the YWCA in New Delhi on August 29 2008, we have proposed the following programme. (For the full programme, and for the names of speakers and discussants, see http://cacim.net/twiki/tiki-index.php?page=Symp29AugProg.) 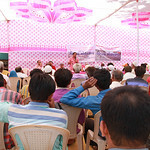 We have invited a wide range of people to take part in this meeting, ranging from the organisers of the WSF in India, members of the WSF India Working Committee, and WSF India’s representatives on the WSF’s International Council and other such bodies, to activists and organisers in social and political movements in the country – both those who have been part of the WSF process and also those who have either boycotted or stayed away from the WSF and/or who take part in similar but alternative processes; and other concerned researchers, observers, commentators, and documentalists. We have also invited as discussants, moderators, and speakers people who come from both genders; from all over the country; and from a wide range of ages, castes, classes, ethnicities, religions, sexual orientations – all to try and ensure as rich a discussion as possible. 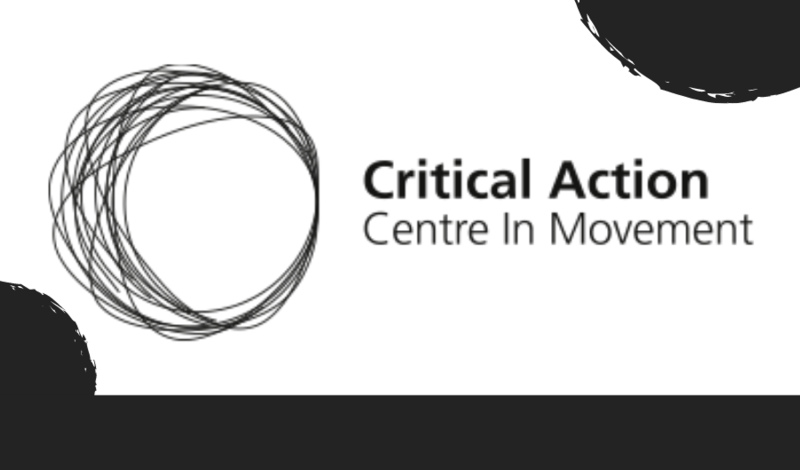 We have also extended an invitation to key actors from across the world – movement and Forum organisers, researchers, and others (though where, necessarily if unfortunately, we cannot cover their fares and they will have to come on their own steam, if at all). We will be following the Symposium with smaller meetings on the following day, Saturday, August 30, including reflecting in greater depth on the experience of the Forum Fellowships and holding consultations towards the November Symposium. At the local level, how can movements, even as they are defending and fighting for rights, also work to build just, equitable, and sustainable futures, respecting diversity and dignity for all ? How should those in non-party / independent movements for social justice view and relate to political parties and their affiliated organisations and movements, and especially of the left and the centre-left ? And the power that these parties still exercise over pubic imagination ? What should their strategic perspective be, in the medium term and in the long term ? How should those in non-party / independent movements for social justice view and relate to the state ? And in particular to the emergence of what seems to becoming a national security state, with unfettered powers of surveillance, repression, and of new laws being promulgated, in the name of the public good, for fighting whatever the state labels “terror” ? How do, and should such movements relate to the politics of identity, whether caste, religion, or ethnicity ? And in terms of the intense power that such politics give to their leaders ? How do, and should, those in non-party / independent movements for social justice view, understand, and relate to power ? In certain ways, conditions in the borders of the nation-state called India differ markedly from those that pertain in the rest (‘mainland’) of the country (and then too, vary between themselves – such as Kashmir and the North-east); in part because the peoples of these regions have had their homelands divided historically by colonial and/or imperial powers. What are these conditions, and how should and can non-party / independent movements for social justice in ‘mainland’ India most creatively and meaningfully relate to movements for justice in such areas ? And vice versa ? 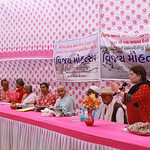 In many ways, it is a reality that there is so much already going on in the country that social activists in India, by and large, and unless they themselves need international support for their own struggles, tend to be somewhat inward-looking, immersed in their own work and by and large not connected to struggles in the regional and global arena. But if we accept that on the one hand, we live in a relentlessly globalising world, and in an interdependent world where much of the power that is being exercised within ‘national’ boundaries lies beyond the country’s borders; and on the other, where there are similar movements all over the world – both in the South and the North – how should and can non-party / independent movements for social justice in India relate to the worlds beyond the country’s borders ? To the south Asian region; let alone ‘Asia’, even to south and south-east Asia; to west Asia; to other parts of the South; and to the several other worlds beyond ? What is the vision such movements have, and might want to have, of their place in this larger world – and what is their view of India as a nation-state and of the place of ‘India’ in this larger world ? Given that social movements widely see themselves as struggling for deepening democracy, and especially if they find meaning and value in the concept of power-to as mentioned in the main text, then how should movements address the question of internal democracy ? Including in terms of how patriarchy, casteism, classism, and communalism still persist so widely with movements, even if subtle and less visible forms ? In particular, how and why is it there are such few Muslims in the better-known movements in the country today ? How can social movements address this wall, and this gulf ? What are, or might be, preferred modes of social organisation and collective decision making for those in social movement ? Are traditional forms, essentially based on democratic centralism, still relevant in an age where open networking has become so common ? Is it time to reflect on this ? In relation to this, what are, and should be, the roles of support / solidarity organisations, and of independent individuals in such processes – both intellectuals and activists ? Can processes of intensified inter-movement dialogue, exchange, and learning play some role in helping overcome some of the walls, and some of the weaknesses; and help movements build on their strengths ?